I’m a sucker for a good cafe when travelling. I love to check out where the locals hang out and do a bit of people watching and try the local cuisine. 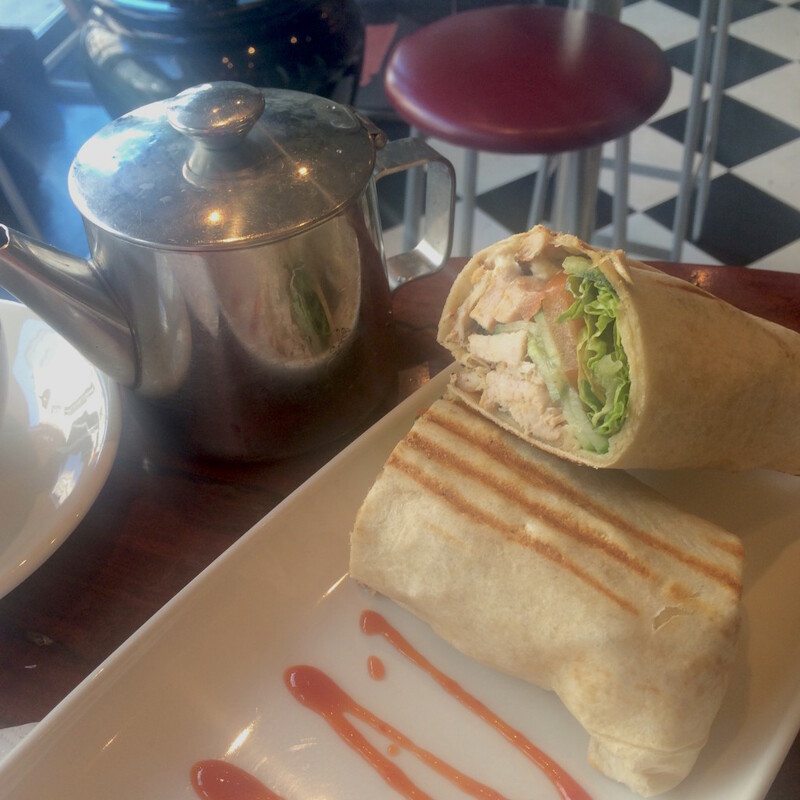 I recently spent a day testing out a variety of the best cafes in Cork, Ireland. I worked from each, switching locations each time I wanted to switch projects. It worked like a charm actually and I got a lot of work done whilst also checking out a new city. Definitely a plan going forward when I’m working and travelling. In the heart of The English Market lies an amazing little place serving amazing local fare using ingredients from the market downstairs. It fills up pretty quickly so be prepared to queue a little if you haven’t booked ahead. 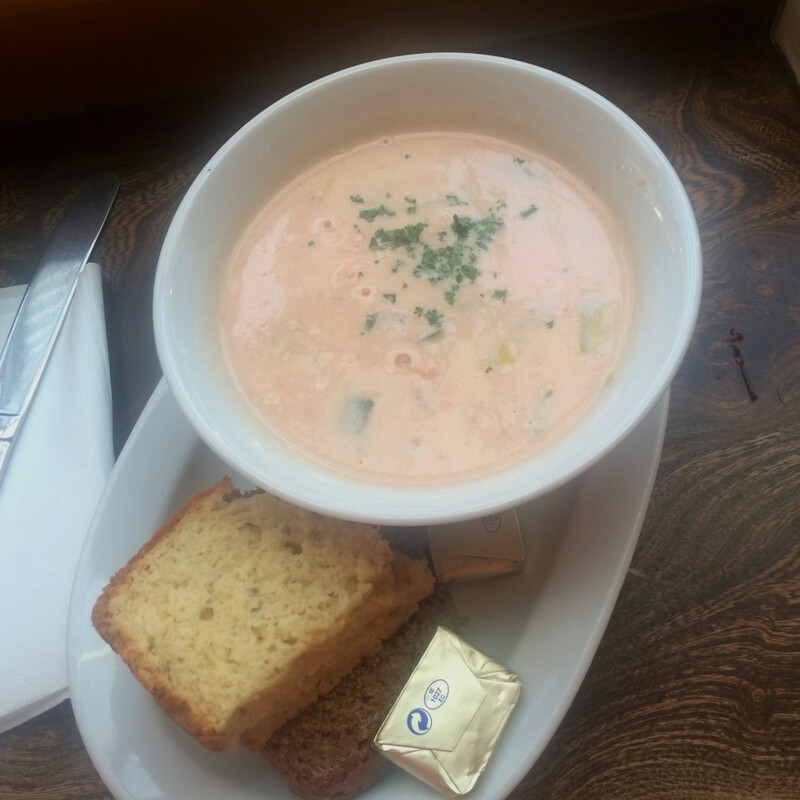 I sat on the balcony overlooking the stalls and checked out the busy market below whilst I enjoyed a traditional Irish seafood chowder, a snip at 7 Euros with a mountain of salmon in it and a pile of soda bread to soak it up. I found this place on my TripAdvisor app with dozens of recent reviews raving about the coffee and the ambiance. I had to give it a shot. A couple of streets over from The English Market and in the pretty Huguenot area of town, I was welcomed into this pretty cafe and enjoyed a post-lunch flat white whilst I did a bit of work. The wifi wasn’t working but that was actually preferable as I did some writing without the distractions. The only regret I had was sitting downstairs because as I left, I popped upstairs to the loo and found a great sun-drenched sofa area which looked pretty inviting for an afternoon’s work. The Bookshelf Coffee House also popped up on my radar as a brilliant place to spend an afternoon so I wandered over to check out the place and work on my next project. I was immediately taken by the old school bookstore decor and the inviting cosy furniture. The staff were really friendly too and persuaded me to try their homemade chocolate and peanut butter banana bread. Very nice. 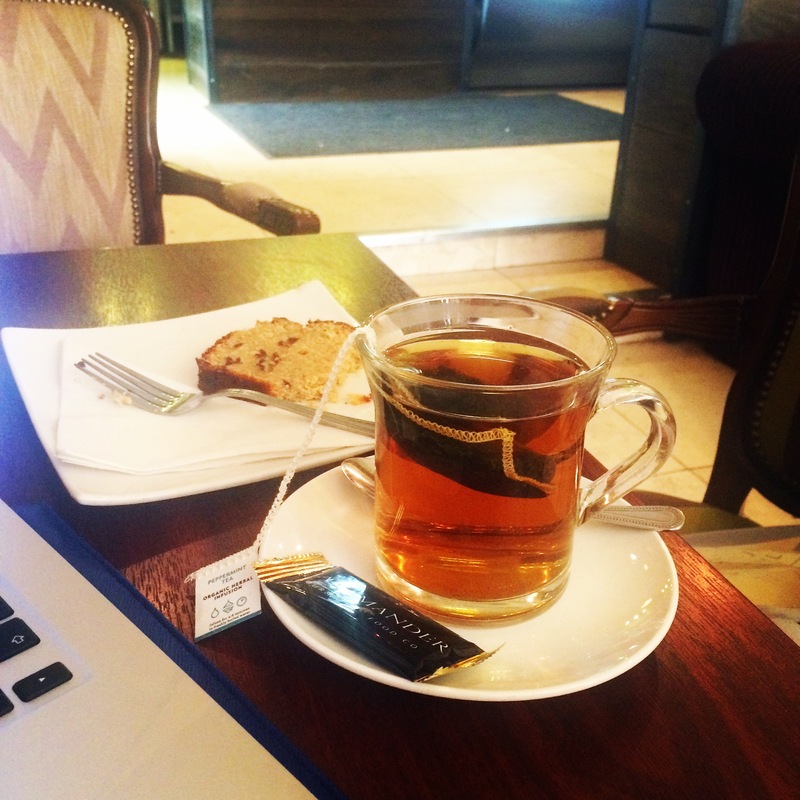 I paid €4.75 for a mint tea and a slice of cake. I was pleased to get good wifi and a power socket at my table. Whilst I was there, a lot of local office workers popped in for a takeaway coffee, which is always a good sign. I’d definitely visit again on my next time in Cork – probably to try their delicious-looking breakfast menu. The Bookshelf Coffee House on Facebook. Ok, I didn’t actually visit Butler’s for a couple of reasons; 1) I was pretty full from the 3 previous places and 2) I was a bit chocolate’d-out after Easter weekend. BUT the place was full of happy people sipping on hot chocolate and I had had a brilliant Butler’s Easter Egg in Galway a couple of days before, so I couldn’t help but pop this on the list. Butler’s is an Irish institution. You get a free chocolate with every drink, which often convinces tourists and locals alike to buy a whole box on their way out. 30 Oliver Plunkett Street, Cork. On my walk home, I needed a quick pre-airport snack and having eyed up The Wholly Grain a couple of days ago, I was actually sold once again by the Trip Advisor reviews for Cafe Gusto next door instead. And I’m so glad that I was because I had possibly one of the best chicken wraps I’ve ever had there alongside an amazing lemon, honey and ginger infusion which was just what I needed for my sore throat that day. Total price was 7-8 Euros. I was only there for half an hour and so many people popped in for a drink and a pastry in that time. A brilliant sign for a small cafe on a Wednesday afternoon. 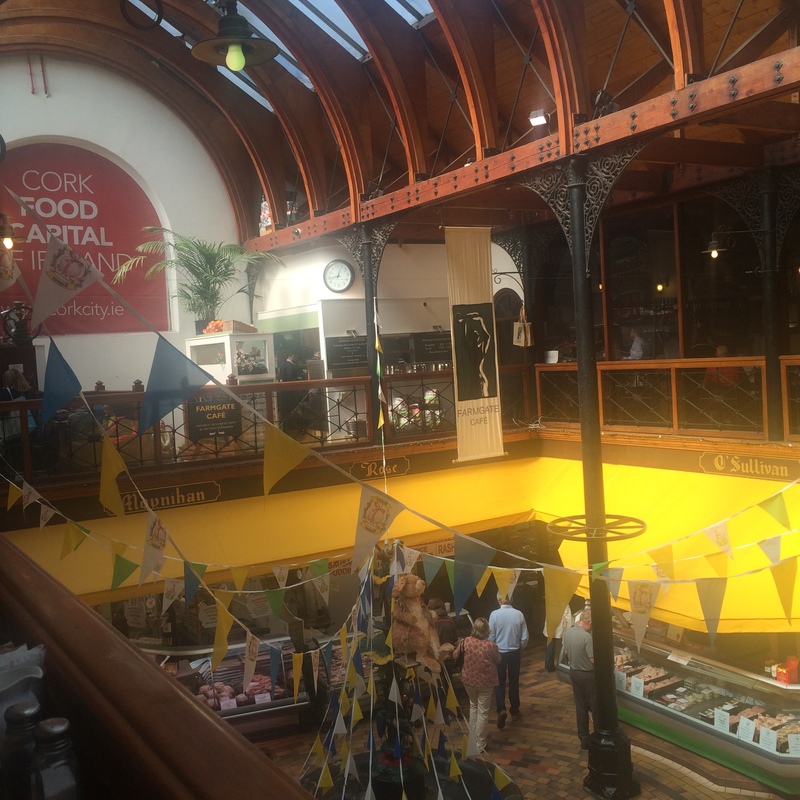 Do you have more suggestions for the best cafes in Cork that I should try next time I’m there? Let me know in the comments below!